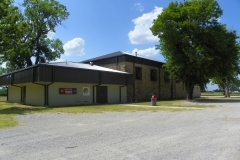 The Mannsville School gymnasium/bus garage is a single-story, rectangular (109′ x 61 ‘) structure constructed of rusticated native stone laid randomly. 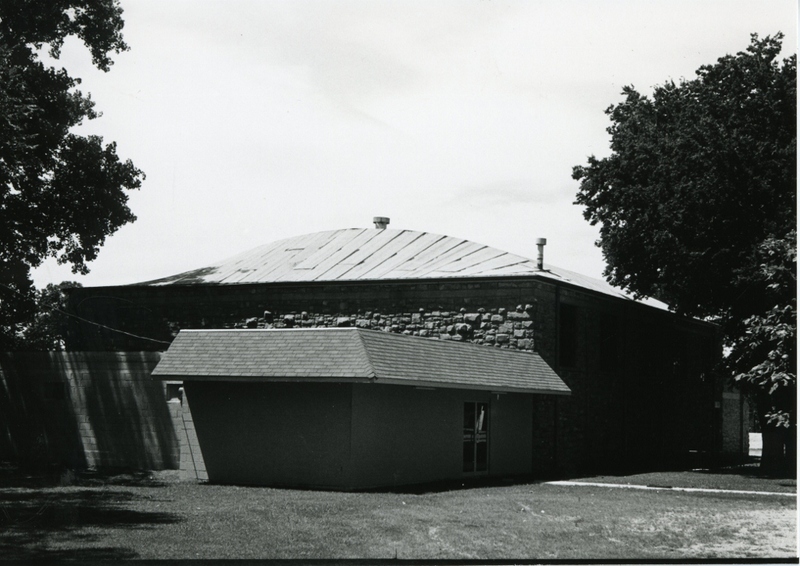 The gym has an arched roof and the bus garage, which connects to the north side of the gym, has a flat roof with parapets. 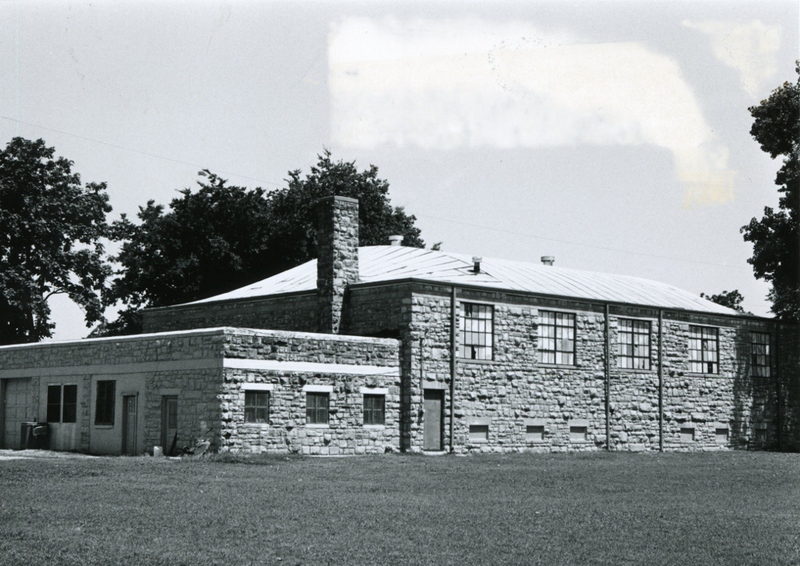 Windows resting on cut stone sills, are metal casement and are placed high on the gym. In the garage, windows rest between pre-formed concrete sills and lintels. Above the window line is a frieze. Two of the garage doors have been blocked in with cinder block, and, an addition to the south side of the gym covers the front entry. These alterations do not materially impair the integrity of the building. 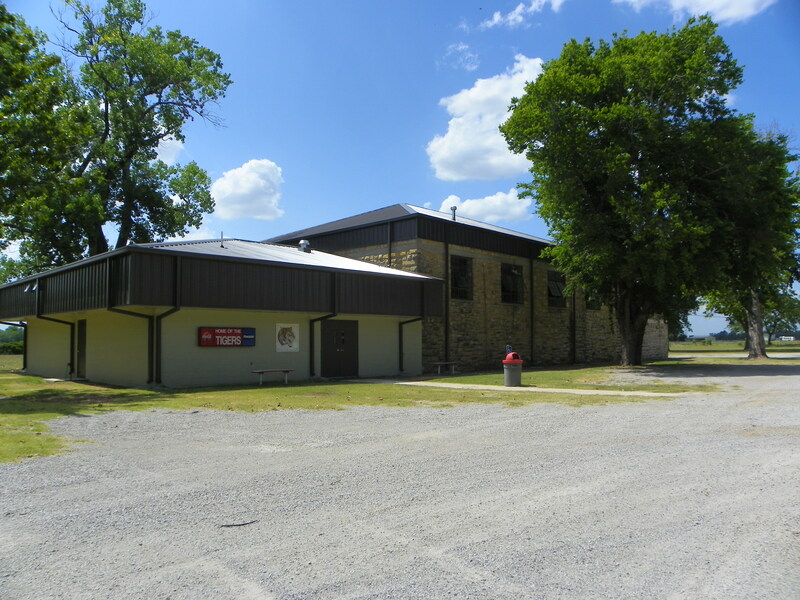 The WPA work on the Mannsville gym/bus barn is significant in that it employed many idled workers in actual construction and in quarries close to the town. 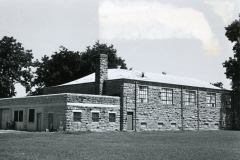 Their work provided Mannsville with school facilities conducive to learning, and in which great pride could be taken. The structure still serves the community as a school building, owing to the workmanship of the WPA laborers. Architecturally unique in type, style, scale, and materials, the Mannsville School project was certainly of benefit to many. VERBAL BOUNDARY DESCRIPTION: From the SE corner of the SW NE SW of Sec. 22, T 4 S, R 4 E, go 200 feet north to a point of beginning, then go west 250 feet, north 220 feet, east 250 feet, and south 220 feet.